Is Jay Cutler an upgrade over Ryan Tannehill? A front office body believes Jay Cutler is an upgrade over Ryan Tannehill, but stats show a very different story. Last week, the Dolphins lost Ryan Tannehill for the season due to an ACL tear. Today, the Dolphins announced the signing of Jay Cutler, and the football world is buzzing about just exactly how smart this move was. Fans on social media are split, but one unnamed front office person thinks Jay Cutler is an upgrade over Ryan Tannehill. According to Joe Schad, one respected front office person thinks Cutler is a great fit in Gase’s system and believes the Dolphins upgraded at the most important position in sports. Respected NFL front office person on Jay Cutler: Great fit. Not often you upgrade your starting QB position two weeks into training camp. The Dolphins are hoping to get the Jay Cutler of yesteryear, but the odds of Cutler turning back the clock are incredibly low. If anyone has a worse injury history than Tannehill in recent years, it’s Cutler. Since 2011, Cutler has gone just one season injury-free, and that’d be 2014. However, his 2015 season with the Adam Gase as the Bears offensive coordinator was a revelation for Cutler that saw him post career numbers, and numbers that look eerily similar to those of Tannehill’s. Upgrade? Not necessarily, but the Dolphins did make out incredibly well getting a player off the street with comparable numbers to their starting quarterback. 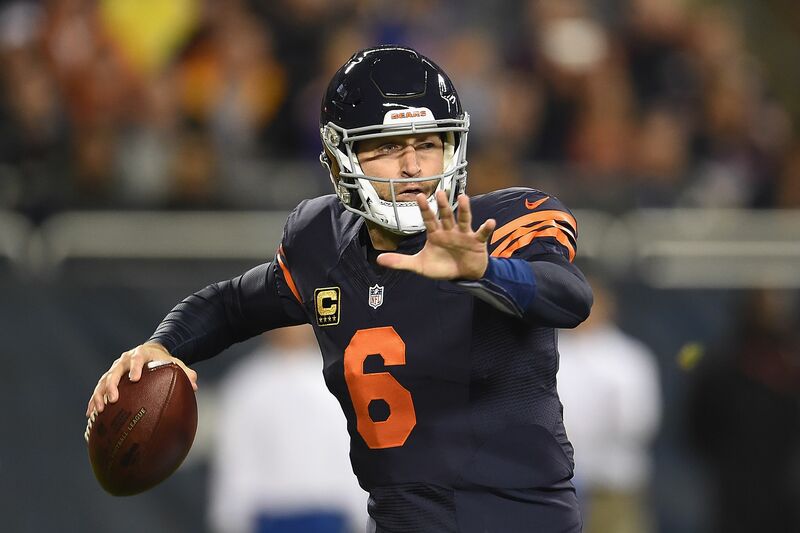 Cutler since that 2015 season has suffered through his share of injuries, including and a torn labrum that ended his season last year with the Bears and looked like it would be a career-ending injury as well. Making sure his shoulder is sound will be a big hurdle for him to post better numbers than Tannehill would have, and he needs to get in football shape but he won’t have to worry about learning a new system as the verbiage is already understood. Tannehill has no more guaranteed money due from his contract, so if Cutler plays well or if Cutler flops, the future of both he and Tannehill is very much uncertain heading into the 2017 season.